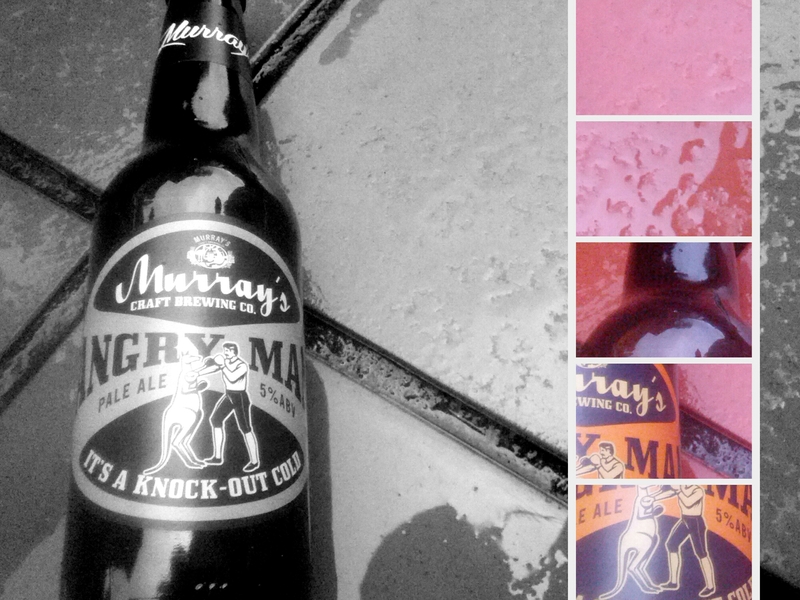 The name Angry Man used to be what Murray’s called their Brown Ale. But for some reason they switched it to their pale. Which is okay with me – I think it’s a great name for a beer and the brown was always next to impossible for me to get. But the pale? Well that’s way easier. Today’s History in a Bottle deals with quite a few angry men. Angry drunken men. It’s Valentine’s Day, 1916, though these men – soldiers in training cap preparing to go off and fight in World War I don’t have hearts and flowers on their minds. No, these soldiers are ready to riot. It’s a story that doesn’t appear in many history books, most likely because the image of soldiers getting drunk and smashing up a city doesn’t gel with how we like to think of the Diggers. But it did happen – and at the end of that February 14 day one of the rioting soldiers would be shot dead – not on a foreign land but in his own country by one of his own countrymen. The day’s events start at 9am that day, at an army training camp at Casula, near Liverpool in Sydney. Several thousand soldiers have just been told their training would be extended by four and a half hours. On its own, it might not seem like much – but it was the latest in a series of issues that rankled with the new soldiers. They were already living in overcrowded conditions, having difficulty getting leave approved and weren’t trusted enough to have a wet bar. The latest demand was the one that broke the camel’s back. Many of the soldiers ignore their commanders, leave the camp and march to Liverpool, where they steal barrels of beer and rum from hotels. When the grog is all gone the thousands of soldiers board trains to Central Station. Once there, any form of a protest against their orders completely falls about and a drunken mob mentality rises up. The soldiers steal fruit from carts, commandeer passing vehicles and start drinking their way through pubs again. As the afternoon goes on, things get progressively ugly, with soldiers smashing store windows and threatening anyone with a foreign-sounding name. The police are vastly outnumbered and struggle to bring some sense of order to the city. They stage several baton charges through the afternoon to try and disperse the rioting soldiers. Some policemen are able to arrest rioting soldiers, but a large number of their fellow troopers turn up outside the police station, waving metal bars and demanding the release of the jailed compatriots. By about 9pm things get so bad that the army sends in some troops, which leads to street battles with the rioters. One confrontation occurs at Central Station, where some reports claim the army came across rioters destroying a toilet block. The troops draw their rifles and demand the rioters stop. The rioters stand up to them. An edgy stand-off between the two sides begins. The officer in charge tells the rioters to leave. And then several shots are fired from the rioters’ side. No one is sure who fired them but some witnesses later put forward the name of Private Ernest William Keefe, one of the thousands of rioters. What is known is that he would pay the price whether guilty or not. In self-defence, some soldiers in the army returned fire, one of their bullets entering Keefe’s head through his right cheek. He didn’t die on the battlefield of Gallipoli, The Somme or the Western Front. Instead, Keefe’s war ended before it even began – on the floor of a Sydney train station. Despite never seeing battle on foreign soil – and despite being part of a riot – Keefe’s name does appear on the Roll of Honour at the Australian War Memorial.